Bangladesh is now an established name in the Cricket World. There is a lot of player’s effort and talent for this position. However, Shakib Al Hasan is a well-known player all over the world for his own talent. The talented player has promoted as the best all-rounder cricketer of the ICC ODI and Test Cricket. 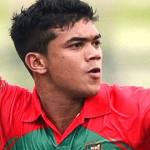 He is the only Bangladeshi cricketers have achieved this honor. Shakib Al Hasan at first on 22 January in 2009 gets number one place of the ICC ODI all-rounder ranking list. He holds this achieved for long-term. 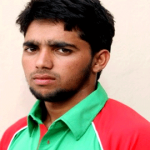 The world best cricketer was born on 4 March in 1987, Magura, Bangladesh. His father is Khondoker Masroor Reza and the mother is Shirin Reza. Shakib has a sister. 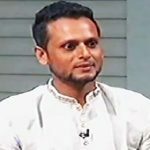 Shakib’s father was a govt. 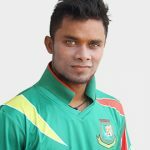 service holder and played for Khulna Division as a footballer. He was born in a sports-loving family but dreamed off to be a doctor or engineer after completing education as a member of the middle-class family. Shakib used to play stunning cricket from early childhood and hired locally in different villages to play cricket. 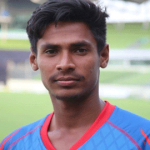 He was the student of BKSP,(Bangladesh Institute of Sports Education). Shakib Al Hasan enrolled at the American Internation University and completed BBA degree. Shakib Al Hasan debuted one-day international Cricket against Zimbabwe on August in 2006. Shakib Al Hasan attracted the attention of audience since his debut. 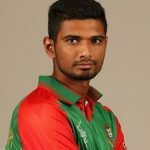 Once he became the Captain of Bangladesh team on behalf of his great performance at only 22 years old as youngest Bangladeshi player. He is one of the highest paid players of the Kolkata Knight Riders. Shakib entered into the record book as a third international player in November 2014 scoring a century and 10 wicket haul in a match against Zimbabwe. He shares the record with Ian Botham and Imran Khan. In July 2015, he became the seventh player in the world as taking 200 wickets and scoring over 4000 runs. In the World Cup 2007 under the leadership of Habibul Bashar, Shakib called to the world cup and made a stunning performance against India scoring a half-century eventually Bangladesh got the historical win. In the match, Tamim Iqbal and Mushfiqur Rahim also got the half-century. In the tournament, he made another half-century against England. Mohammad Ashraful was the highest run-scorer in the World Cup with 216. Before kicked off the journey in the Champions Trophy 2017, Shakib Al Hasan going through off from. But in the last match of the group stage, he appeared as his name where played a wonderful knock with Mahmudullah Riyad against New Zealand. In the earlier of innings, Bangladesh falls in trouble losing 4 wickets just in 33 runs chasing 266. Shakib and Mahmudullah together rebuild the innings making highest partnership in the fifth wicket where they added 224 runs. He made his seventh ODI hundred scoring 114 runs and Bangladesh won the match, only 9 runs short he departs. When Shakib went to England to play county cricket for Worcestershire in 2010 he met with American Bangladeshi girl, Umme Ahmed Shishir but they introduced one another through social network site Facebook. Then they fall in love with one another and finally got married in 12.12.12 to keep this date memorable in human history. Shishir’s father, Mamotaj Ahmed was a government officer in Narayanganj, but his hometown is Raipura, Narsingdi, Bangladesh. In 1998, Shishir‘s family immigrated to the United States when she was a student of only class three and 8 years old. She completed her graduate degree in software engineering from the University of Minnesota in the United States. Their marriage ceremony held in Hotel Ruposhi Bangla but only Tamim Iqbal was present from Bangladesh Cricket Team in their marriage. On 8 November 2015, Shakib Al Hasan becomes the father of a daughter named Alayna Hasan Aubrey. Major teams: Bangladesh, Bangladesh A, Bangladesh Cricket Board XI, Khulna Division, Kolkata Knight Riders, Worcestershire, and Dhaka Gladiators.